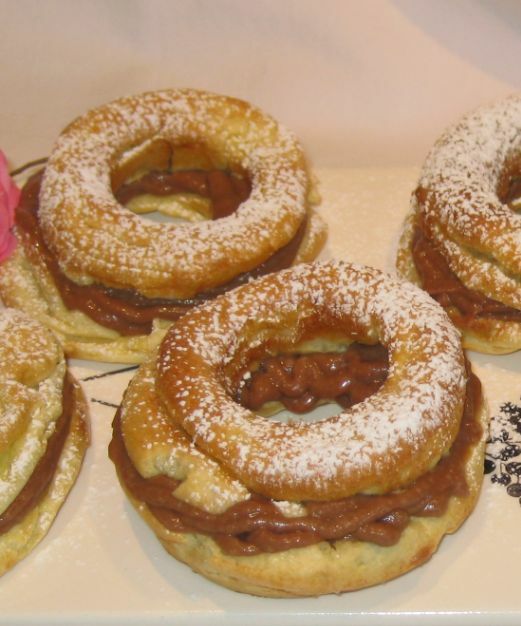 This dessert is named after a bicycle race Paris-Brest which is a grueling 1,200 kilometer race from the capital of France to the port city of Brest and back again. This race has been held since the late nineteenth century and it is more a test of endurance than a race. Today, many amateur cyclist participate in this race. 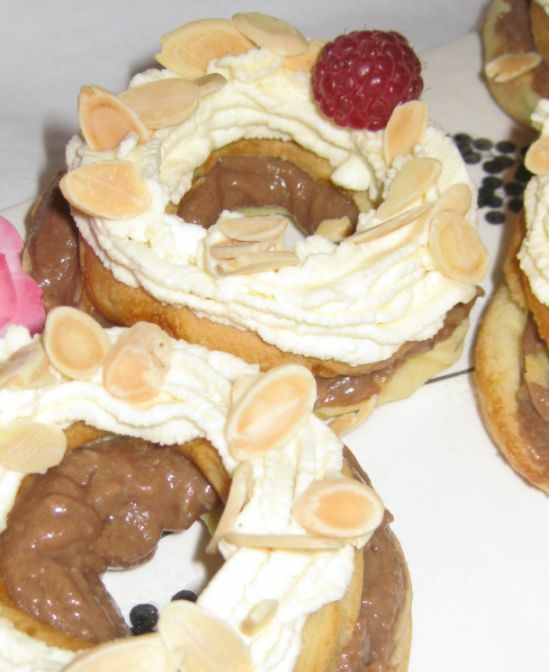 In the early years of the race, a French baker was inspired to create a pastry to honor the brave athletes. 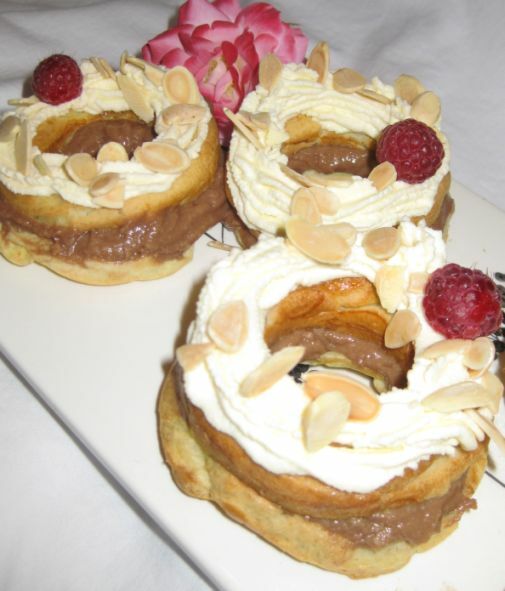 The wheel-shaped éclair (a long thin pastry made with choux dough filled with a cream and topped with icing) can now be found in French bakeries all over the world but it is very popular in Paris and Brest! 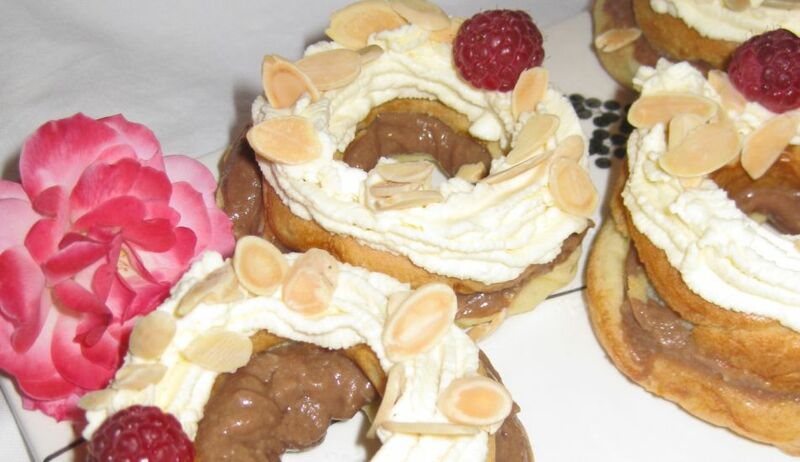 The Paris-Breast with hazelnut crème pâtissière look so good but above all they are also delicious! 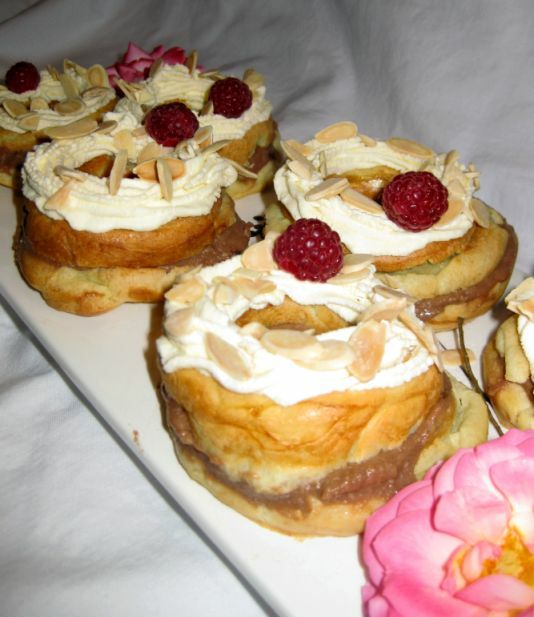 I sprinkle a bit of toasted almond and added a raspberry on top of each Paris-Breast to give it a bit more color. 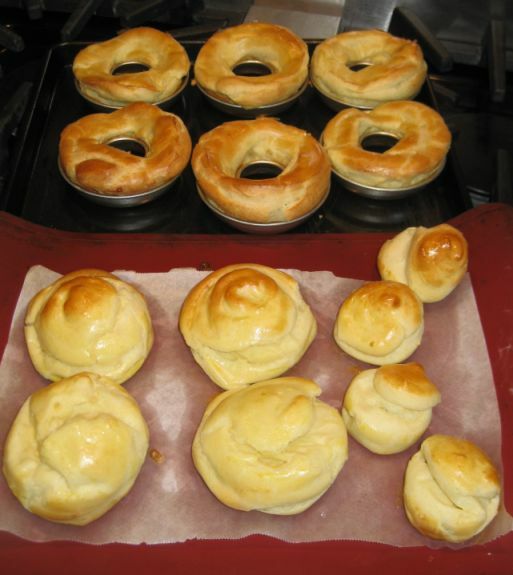 Click on the link to see how the Crème pâtissière is prepared. 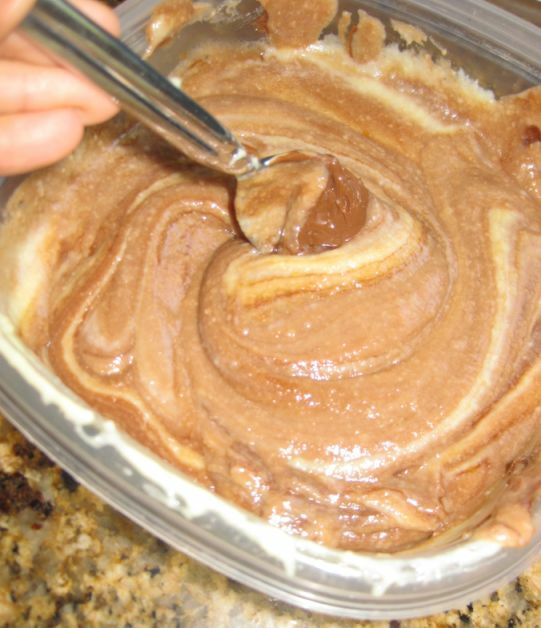 Mix it well together and refrigerate the Crème pâtissière until ready to be piped. 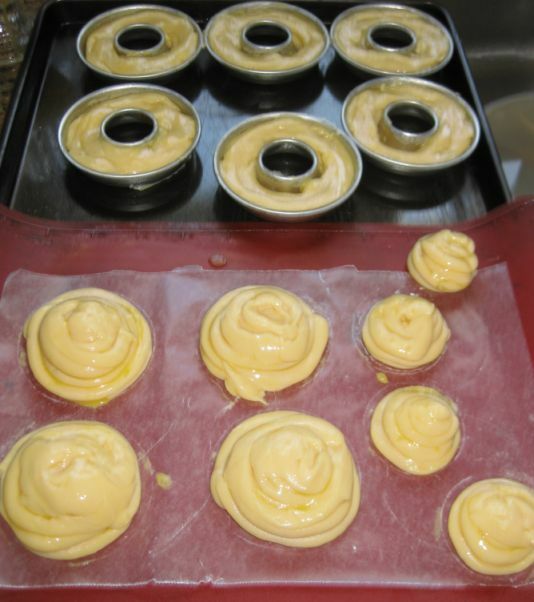 Prepare your choux paste (click on link to see preparation) and pipe inside 6 circular molds. 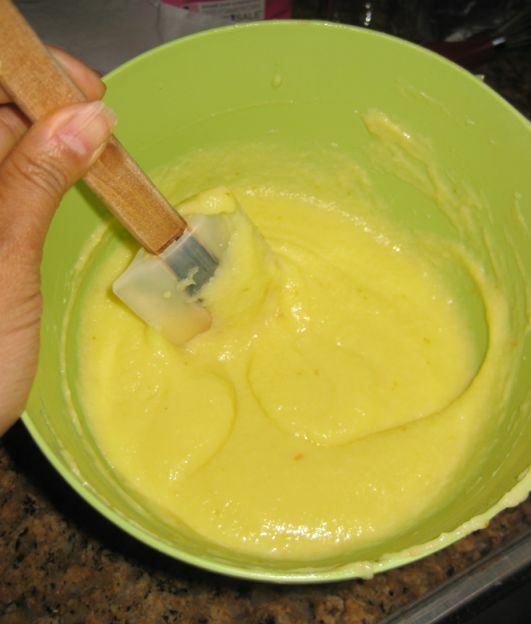 Brush the top with egg wash. 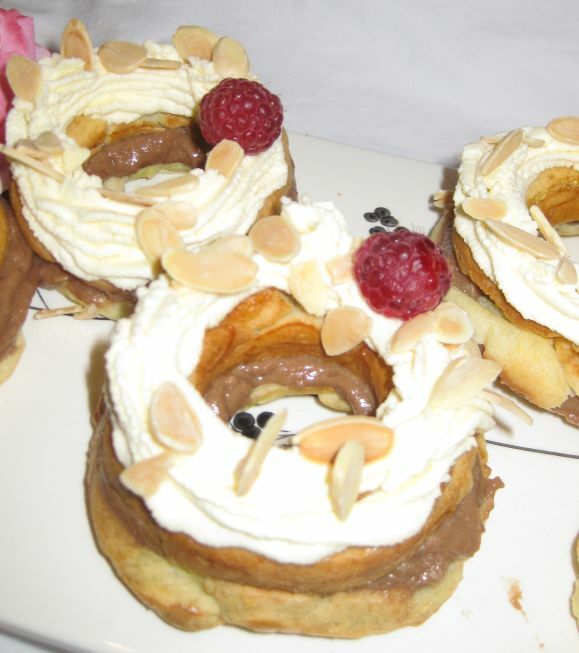 Here in this picture I am also piping some circular shape for my Religieuse. Pre-heat the oven at 425 degree. 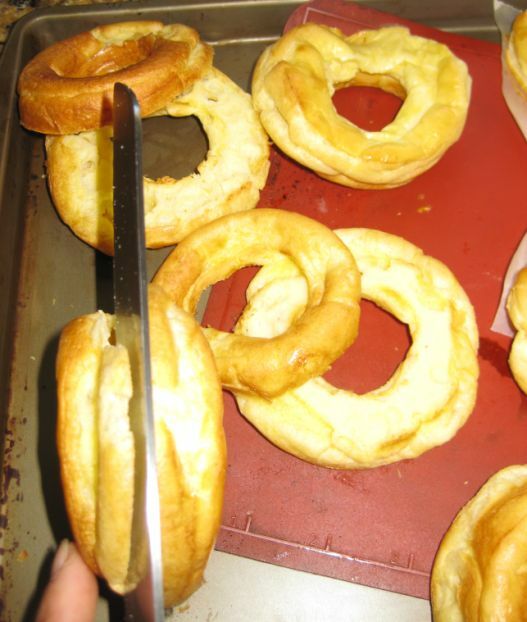 Bake the Choux for 10 minutes. Turn the oven down to 350 degree and rotate the baking sheet. 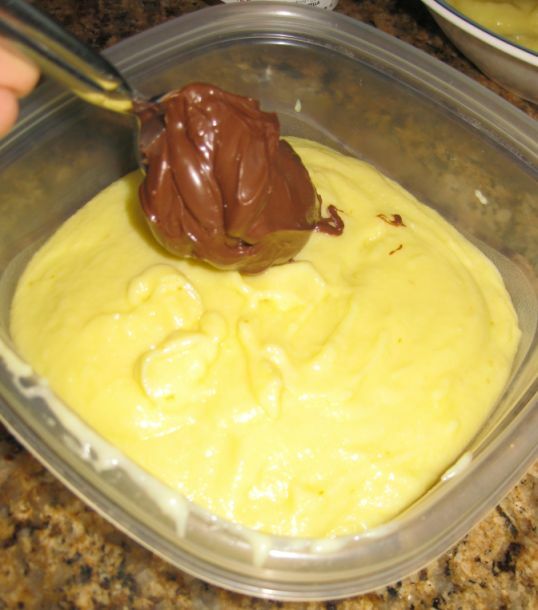 Prop the oven door slightly with a wooden spoon and bake for another 5 to 10 minutes until it is slightly brown. 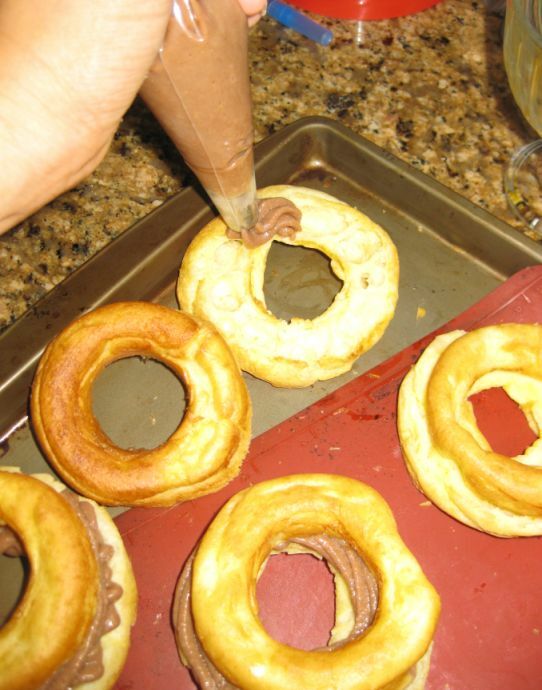 Slice the cooled rings in half horizontally. 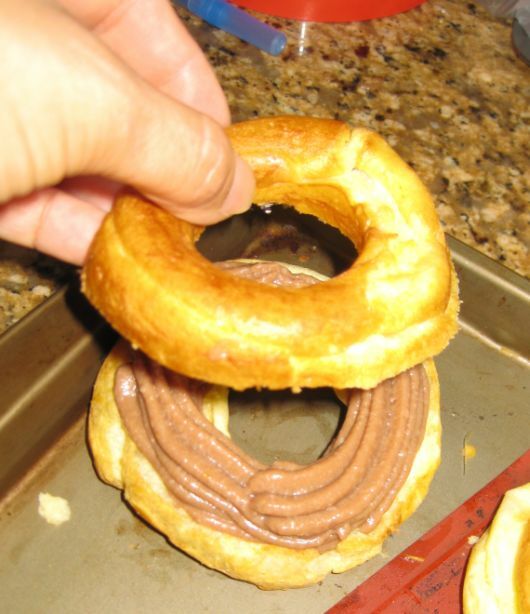 Fit a medium plain tip into a piping bag and fill the bag with the Crème pâtissière and pipe the bottom half of each ring. Place the top of the ring on top. You can make it simply but simply sprinkling some powder sugar on top or you can make it fancy by piping the top with whipped cream..